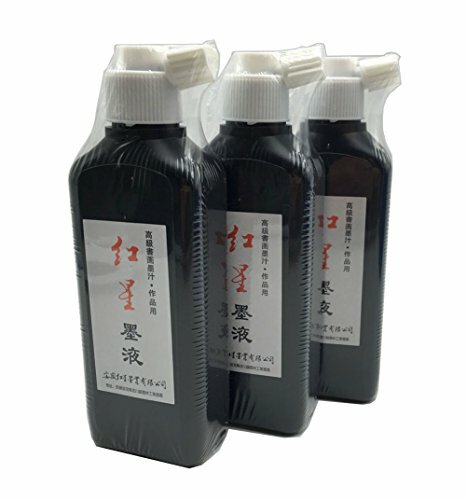 Liquid sumi ink for traditional Chinese and Janpanese calligraphy and brush painting. The ink gets bright luster in deep black, absorbed well by xuan paper with vivid layers. Made in traditional tech in all ages. Anhui Redstar ink mill is one of the best inkmills of China. Liquid sumi ink for traditional Chinese and Janpanese calligraphy and brush painting. Made from oil soot. Redstar Ink Mill is one of the most famous Ink Mills In Anhui Province of China. All ink is made in traditional tech in all ages.